The weekly Shabbat dinners and lunches at Chabad provide Jewish students an intimate and elegant setting to eat, meet new friends from every niche of the campus, and celebrate Shabbat in a warm and enjoyable manner. Shabbat at Chabad features five courses of traditional classics and updated favorites. 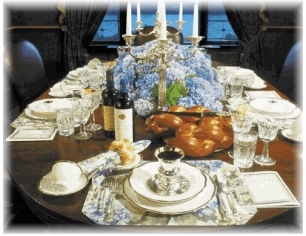 There is no charge for a Shabbat dinner at Chabad.